Universities and colleges within the United States require international students to be proficient in English prior to enrolling in their undergraduate or graduate degree programs. Generally, they require a student to either pass a standardized test of English language proficiency (TOEFL or IELTS most often) with a minimum required score for admission or to graduate from an accredited English Language Program with which they have a partnership. ALA offers a variety of ways for students to achieve English language proficiency in order meet university or college English requirements through our Intensive English Program, English for Academic Purposes Program, IELTS Test Preparation Course, and TOEFL Preparation Course on campus or online. Students enrolled in our Intensive English Program and English for Academic Purposes Program graduate at Level 5. The graduation certificate is proof of English proficiency at our direct partner universities and colleges. Students can take English language courses on campus and online. The graduation certificate holds the same value for both on campus and online programs. Students use the graduation certificate to waive the English proficiency test requirement at our partner institutions. In addition, ALA serves as a bridge for students who wish to transfer from universities and colleges outside the United States to undergraduate, graduate, and doctoral programs within the United States. The majority of ALA’s partner universities and institutions have articulation agreements with universities and institutions all over the world. These agreements allow students to participate in dual degree programs, 2+2 programs, 3+1 programs, accept courses taken in different countries as transfer credits which allow students to complete programs in the United States in less time, pathways to educational internships, and other educational opportunities. Students who do not wish to enroll in a full English language program can take our customized tutoring courses or sessions for IELTS or TOEFL test preparation or receive mentoring online for TOEFL or IELTS. Tutoring provides students with the skills and strategies needed to pass the TOEFL and IELTS test. In these sessions students are able to raise their test scores and apply to the university or college of their choice. 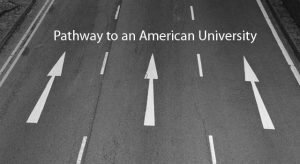 American Language Academy offers its students access to the American Universities Pathway Program (AUPP), developed and provided by World Education Group. AUPP is designed for international students who seek a US undergraduate or graduate university degree and who prefer to do their first year of coursework off campus. Students earn US university credit that will count toward their Bachelor's degree or Master’s degree by using this Pathway Program and Full-Support learning courses. World Education Group is an international education services firm located in the United States which has been helping international students with their college admission for over ten years and is certified by the American International Recruitment Council. Through these partnerships, WE Group works with ALA students to help them meet English Language Proficiency requirements and obtain Conditional Letters of Admission at over 40 colleges and universities. Shorelight Education is a network of tier 1 research universities dedicated to international student success. Students attending a Shorelight Education university receive a customized first-year curriculum and a suite of student support services designed to ensure academic, social and career success with access to high-demand internships during their degree. Shorelight Education offers a streamlined application process designed to take the guess work out of the admissions process and provides unprecedented access to some of the top universities in the United States. ALA has partnered with Shorelight Education to assist students in meeting English language proficiency requirements for partner universities. ALA works with upper level high school students and Global Student Exchange (GSE) which has expertise and experience in helping students study for one or more academic year(s) on an F1 visa and then gain admission into one of more than eighty private boarding and day high schools across 28 US states. GSE provides hands on placement and 24/7 support for students by placing them in the private high school that best suits their needs and interests. The high school partners will provide conditional letters of admission (CLA) for students who meet all other high school admission requirements. More and more colleges and universities are waiving TOEFL and IELTS tests for students who graduate from an English Language Program which is accredited by the Commission on English Language Program Accreditation (CEA). Because ALA programs are accredited by CEA, graduation from our Level 5 Intensive English Program and English for Academic Purposes Program will meet the English language requirements at many colleges and universities. ALA gives you multiple pathways to the university or college of your dreams! For more information about our higher education partners contact the ALA Admissions office at admissions@ala.edu.